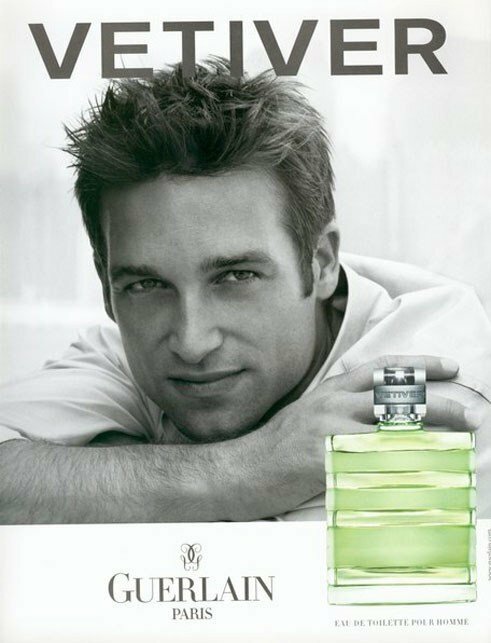 Vetiver (Eau de Toilette) is a popular perfume by Guerlain for men and was released in 1959. The scent is green-spicy. It is still in production. I must have the worst chemistry for this. I was so excited when I made the purchase on Amazon that when it arrived I opened the box in my car after taking it out of the Amazon locker. I sprayed 2 sprays and it started out as described, grassy, lemon, orange and vetiver. The dry down was so disgusting and disappointing for me. None of the opening is there, all I smell is nutmeg and vetiver, no tobacco at all. It’s a scrubber for me and I have tried it multiple times in hopes that it would grow on me. On the other hand Grey Vetiver is one of the best fragrances I have ever tried. So sorry this one doesn’t agree with me, I really tried! Imagine if you will a summery meadow early in the morning with droplets of dew hanging off the green grass. On the edge of the meadow is a forest with the sunlight shimmering through the branches of the trees that are swaying from a gentle breeze. Imagine still that you are on your morning walk through the countryside and stop to inhale the breeze that is coming from this summery meadow. The first thing that caresses your senses is a fresh green grassy smell that is beautiful and airy and seems to capture the essence of mother nature. This is what I get when I smell Guerlains Vetiver, beautiful complex green fresh smell. It's a Summer meadow in a bottle. Vétiver ou Vétiver Extréme, mais toujours Guerlain, bien sûre! 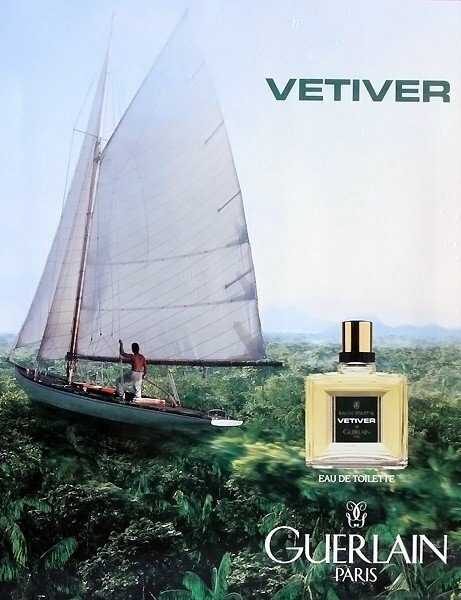 Vétiver has become a common name through perfume wearers, a name as common as lavander, wood or lemon. Nevertheless vétiver as a raw material is almost unknown by the majority of the vétiver enthusiasts. In perfumery, vétiver is an essence extracted from an Eastern Asian weed grass called "chrysopogon zizanioides" or "vetiveria zizanioides". It's usually classified as a woody scent. It exhales a dry, musty and woody aroma and is associated to masculine fragrances. Rest assured as well that the vétiver is a gender defying note as it is successful blended in many feminine perfumes. Depending on its varieties, vétiver accords may present bitter chocolate, woody, smoky. earthy, loamy, warm, nutty, spicy and green facets. The iconic vétiver designer for the last few decades is Guerlain with Vetiver and Vetiver Extreme. Guerlain Vétiver has been out there forever, and deserves its reputation as "The Vetiver Fragrance". You can’t go wrong with the current iterations as a starting point for a vétiver fragrance. Just start here to get the full-on vétiver experience. With both Guerlain Vétiver perfumes you’ve tried one of the best, and you can now move on to other vétiver experiences. Older Guerlain vétiver formulations are brighter, with more lemon and bergamot. The later EDTs are dryer, more austere and less sunny. Guerlain Vétiver has been launched in 1959 - contemporary of Cabochard - and aimed at a fresh, woody, natural, sober and elegant fragrance. The fragrance opens on the spontaneous, glittering freshness of citrus fruits namely orange, bergamot and lemon. At the heart, spices such as nutmeg and pepper intensify the fragrance, before giving way to an once innovative accord in perfumery, crafted on the basis of vetiver, tonka bean, nutmeg and tobacco, a fresh and woody accord for a fragrance with sheer cool and clean elegance. With Vétiver Extrême launched in 2007, Guerlain offers a different and original interpretation of Vétiver. Whereas one is fresh and woody, the other is just as woody but more aromatic. Ever loyal to the original framework, this extreme accord is more intense. The fragrance opens with orange spicy floral hints through the bergamot note enhanced with lemon. At the heart, pepper and nutmeg are blended in a stimulating elegant accord. Then comes vetiver, which deploys all of its woody sensuality on the skin thanks to the help of the cedar austerity and the bittersweet almond facet of tonka bean. Both fragrances are very good and provide a similar satisfaction. Value for money is quite high in both cases. The choice only depends on your personal taste. You may decide for the more aromatic and intense one or for the more formal, alluring and a tiny less intense one. Recommended? I recommend both fragrances. Blind buy worthy? Yes for any of the Vétiver versions. Music: Elvis Presley - "Green Green Grass Of Home"
A few months later I (not for the first time, mea culpa) go with my young passion to one of my friends unasked on the biscuit. Spray, spray. Verriech, verriech. Nothing really gets through to him until it comes to Guerlain's Vetiver. All of a sudden, the olfactory chisel blow sits there and already it breaks out of him: the brook behind the clubhouse where he played as a child. The moss, the stones: deluxe head cinema. Have-must-Litany. Even though this is a very biographical association that I naturally could not comprehend, it nevertheless led me to give the fragrance another chance and lo and behold: it is no longer so inaccessible. The feeling of wearing a little artistically presented "primary scent" on the skin fades away. Something like joy comes up! The scent stays cool and reserved, yes. But not rejectingly indifferent like a Bauhaus model housing estate, but rather imposing respect like a classicist theatre building: Primarily monochrome, too, but peppered with details that give the whole context and form; the pure, brutalistic "surface" is avoided. After the citric prelude has faded away, one can clearly feel the pepper, which has been dosed with verve. In addition, there is a spice, of which I cannot say exactly whether it comes from listed tobacco or from nutmeg. Regardless: with just a few simple steps, the Vetiver is given a frame that really turns it into a perfume. The snobbish coolness becomes an aristocratic distance that creates space and commitment. Such a thing can be called a gentleman's fragrance, if I may be allowed to use this worn catchword. I've been thinking long and hard about what title to dedicate to this comment. Then I had enlightenment (see above). One of my other passions is watches. Anyone who knows a little about this knows exactly what I mean. For everyone else: a Rolex Submariner is THE men's watch. At the t-shirt while barbecuing she looks as good as under a suit at a wedding. The macho likes to have his coolness and masculinity underlined by a Submariner sitting loosely on his wrist. Critics like to accuse her of showing off and suspect a fake behind each copy, which only adds another moment to her image. The functional look is as striking as it is simple and separates the spirits. Even if watches of more renowned manufacturers cost many times more, none achieves their recognition value. Apart from the stereotypes, there are also collectors' hearts that appreciate the "Sub" from a functional point of view as well as from the design language, and who perhaps stealthily pull up their sleeves in an unobserved moment in the office, enjoy the sight intimately and don't know the time a second later. 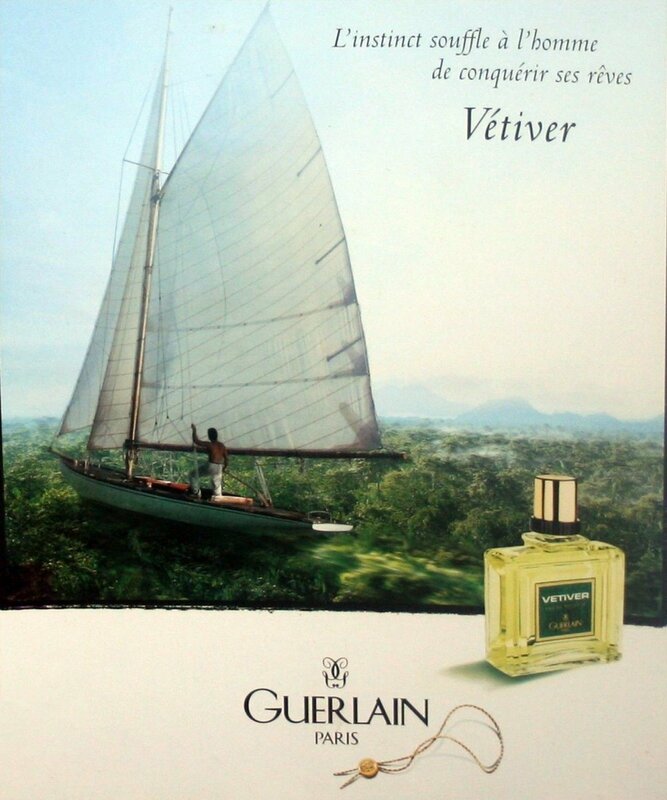 So, of course, this should not be an advertisement for watches, but Guerlain Vetiver dedicated to dedicate. But the description of the fragrance itself has already been dealt with in detail by experts, unlike me. I confine myself to describing my emotions; answering the question "How do you actually find the perfume? I had it given to me by a special person for my birthday. Over the last few years I've sniffed my way through some exclusive perfume houses, which Douglas doesn't even give you; always looking for the "kick". I think many of you know this curriculum. There were also proven Vetiver scents in it. Since I got him, something in my scented brain has been clicking. Since then, I have known that it is Vetiver that actually fascinates all men's fragrances. And it's the essence that freshly shaved skin craves. The answer to the question from above is: "Wonderful!" ..Blumemeer, a tribute to the sweet grass..
My training as a hotel specialist in one of the most beautiful, elegant and luxurious Grand Hotels in Germany with an affiliated florist. The owner was wearing it and I thought I was lying in a sea of flowers. Vetiver didn't come out so strong of him. It was something completely different than what I had smelled until then. So floral, yes, just great. I immediately asked what it was. With a broad grin he said: "A fragrance from one of the oldest fragrance houses in the world. I'm out and off to buy. About the scent itself: On my skin it starts with light bergamot, but is then relatively quickly replaced by vetiver. But not aggressive, as with other fragrances, where the core statement is "vetiver". Of course, it also depends on the quantity and the ratio of the ingredients. For example, Lubin smells a little more herbaceous, strong and sharp-edged to me, which should not be a devaluation. Personally, I prefer my Guerlain by a long shot. Personally, I found the old bottle much more beautiful than the current one, they all look the same... this great fragrance doesn't deserve that. A great gentleman with history, a proud chest and a certain statement, no, a very clear statement. Smells like a barbershop, not worthy blind buy, check before you buy, it's good scent but i didn't enjoy it at all for that barbershop vibe. Supercilious minty vetiver that feels more like a status symbol than an expression of pleasure. One of Guerlain's Ancien Régime perfumes that hasn't adapted well to modern life, despite the face lift. Today I will digress in two male mythical Guerlain: Habit Rouge and Vetiver, opposing each other. The classic masculine, where the vetiver note has become a benchmark for men. For use with suit and tie, at any meeting. Classy, but also a lot of sobriety. For me, however, it is a bit dated (yes, I'm the counter current of those who consider this more modern than Habit Rouge, being this one outdated upon many reviewers): I prefer more modern vetivers, when that note, one of my favorites, is blended with a touch of profanity as in L`Artisan Parfumeur Timbuktu, example of exoticism; or wherein the distinction is even more marked as in Chanel Sycomore, the unsurpassed distinction. Or is it the sandalwood that matches the vetiver so smoothly? 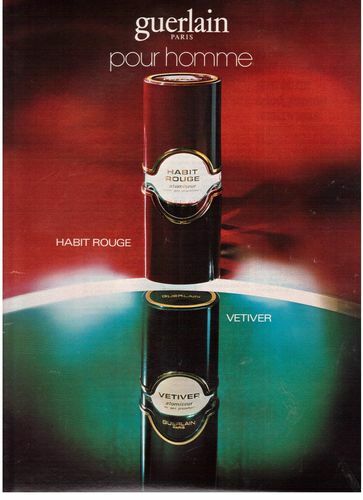 But my reference is Frederic Malle Vetiver Extraordinaire, vetiver at its higher level, linking to my taste on oriental and inspiring my next short review on Habit Rouge below. I am so sorry, Guerlain, you inspired many, and will have to watch now the beauty of youth from distance. This is the opposite of the previous one: said to be the first male oriental in 1965! Or, as I think, was it the first androgynous? It does not matter, because it has it all for those who always feel good in their skin, whether at work or at play, such as a father or as a romantic lover (ok, he may be all at the same time, ok?). And both based on the cutaway aristocrat as the rocker playing his electric guitar jumping on stage ... If you are more for well-defined identities, it will not be for you. The touch of vanilla in the drydown is wonderful, someone considered the male Shalimar. I do not agree completely: it is less powdery and is drier (a more pronounced and animalic leather accord?). It is a unique scent and I do not know any other as complex, contradictory and inexhaustible. Guerlain wanted men the opportunity to wear Guerlinade, and they succeeded auspiciously. I'll think a bit more about it. You see, I prefer this against Vetiver; I changed. A few years ago I thought otherwise. My dear Guerlain, you need not anymore to feel envious. You became a forever young vamp. But you'll have to walk alone. Jean-Paul Guerlain's Vetiver was one of the the first fragrances composed primarily around Vetiver, and it has become a classic ever since. For me, when I first opened this and sprayed it I was shocked. It smelled like an old man! Not just that, but an old people's retirement home! I was horrified, and for a long time I couldn't get this image out of my head! But I gave it time (like all Guerlain's), and guess what? I love it now! I wouldn't be without it. I now think that if I only had to choose two fragrances to wear for the rest of my life, it would be this and Habit Rouge. So, what's not to like here? You have fresh, bright Lemon and dry, spicy pepper in the opening, joined by Nutmeg, a hint of Tobacco, and raw, earthy dry Vetiver throughout. Jean-Paul Guerlain made this when he was only 20 years old (an amazing feat for a perfumer), and he based it on the smell of a gardener, working in the crisp, early morning. Whilst wearing this you really do feel active, dynamic and alive. If you close your eyes you can imagine what the air smells like at dawn in a dew-covered field in the early morning mist, the crisp, cold air mixing with the smell of earth and grass. It's very green, very fresh, very alive. This one really lifts you up and it sets you up for the day brilliantly. Like standing in a field and taking in the cold morning air. It also reminds me of green jungles, and it's no surprise because this product was originally sold to Mexico, where they imported the Vetiver essence exclusively from Guerlain, and there was a huge demand for the smell of Vetiver in Latin America. For that reason, I also think it works (exceptionally) well in hot weather, cutting through the heat beautifully... the fresh lemon lifting up the green, earthy Vetiver and making it a very clean, almost soapy smell. Look, I know not everyone will like this one at first, but if you like green, earthy and fresh... you'll really love this one. Just try it on a spring or summer morning just before stepping out of the house into the air. You'll see what I mean, what kind of effect it has. I love this one, love it, and love Guerlain for making this. No Vanilla, no Amber or heavy Florals. Just pure green, refreshing energy! Great stuff. Oh My God, what a lovely fragrance. Indeed, I have that feeling of meeting again an old acquaintance, so familiar and yet this is the first time I have GV in my hands. I know, the olde men/granddaddy smell some of us like to report immediately. Nevertheless, Guerlain Vetiver is just gorgeous, clean and above all, masculine. Maybe that's what what some people think/means of oldie smell, Masculinaty. The tabacco note is not that strog and most of the notes are so well blended that you think all is part of the vetiver itself. Now having them both I can say that the Extreme is in fact stronger and bolder than the original, more mature and less casual, although I wouldn't wear Vetiver Extreme in the evening, they seem to ask for daylight to shine throughout the day. I am extremely happy with my new vetiver bottle. It is worth the price and I am considering layering GV with Eau Sauvage Parfum for a more impact impression when the occasion asks for. I am geting into vetiver more and more nowadays, so I decided buying a bottle from Guerlain to see what is their take on that note. Guerlain's Vetiver is a fresh, playful and gentle scent that projects maturity and class. On my skin it smells somewhat sweet (tonka bean and sage guess...), yet remains fresh (bergamot, pepper, lemon) with some tobacco in the background. Might be a little bit dated (but just a little), still very pleasant, and I will be certainly wearing it. You can find me on Fragrantica under the same username! Guerlain's Vetiver has always been the most popular fragrance of its class. Here is my personal view on the history of Vetiver. It must have been an idea of the late 1940's to use Vetiver as the main note for a gent's cologne. It seems it was Carven who first came out with such a perfume in 1949, not Guerlain. For some reason, these dark, green and earthy colognes must have hit the Zeitgeist of that time. They did not stand alone. Next to the Vetivers, another dark green fragrance, the coniferous Acqua di Selva was tremendously popular – at least in Germany. I have always seen a close relationship between both - not only due to the fact that an amount of vetiveryl acetate may also go into AdS. For me, that Italian fragrance is a sort of role model for the classic Vetivers: it is dark, green and has the same “vibes”. The interpretations by the means of that tropical grass are just the more sophisticated way of expressing the same thing. Vetivers begin with something even older - the concept of the forest. In my imagination I see old pine trees, spruces, larches and firs among other broad-leafed trees. Have you ever been in such a forest in summer on a not too hot day? Have you ever realized the beautiful murmuring sound that comes from the wind as it passes the branches, leafs and needles – only interrupted by a cuckoo or the echoing sounds of a woodpecker? And last but not least, did you sense the multiple scents that the summer breeze brings to you – of pine needles, tree resin, earth, brake and anthills? In my country, the “Deutsche Wald” (German forest) was first invented as a place of longing by the poets and intellectual representatives of the romanticism. On their way to find the “Blaue Blume” (blue flower) some of them found the forest instead: “Wer hat Dich, du schöner Wald, aufgebaut, so hoch da droben?” (Who has built you, you beautiful forest, there so aloft?) - these words by Josef Eichendorff, transferred into music by Felix Mendelssohn-Bartholdy, soon became a popular folk song. Aloft is the key-word here, it has a second meaning. Entering a dark forest is a bit like entering a cave. The vastness is gone – instead, trees and foliage come close and give the surrounding a more intimate appeal. Leaves provide shelter from rain, storm and sunlight, and so, there is protection. On the other hand, thick foliage may hide the unknown that also comes closer to us. The poet however looks at high growing trees and thus, focusses on the grandness and sublimeness of the forest – and he relates it to the privacy of a forest home. Intimacy and sublimeness, protection and the unknown – how can this go together? I think such contradictions was just what the romanticists were looking for. Like any other logical contradiction it can open a crack in reality and so - in the case of the forest - fairies, trolls and korrigans can enter and maybe reveal themselves to those who are able to see. Spending time in a forest means to be in an environment with confusingly opposing aspects, and it is up to you how much of it you are able to sense. When the weekend came, there was no Italian Andiamo alla piazza - my parents took me to the forests. Back to Vetiver. I remember wearing Guerlain's vintage Vetiver when I drove through the countryside some twenty years ago. It was summer, rain had fallen and now, all the forest scents evaporated and filled the fresh air. These well-known scents mingled together with my Vetiver, and suddenly, it made sense to me. The Vetiver was just one more forest note, it belonged there, it was part of nature, and it fit in. Even more, it amplified all the memories and the divergent moods that came with the forest air. This was the moment that Guerlain's vintage Vetiver became a favourite of mine. It is hard for me to define the magic of it but it may have to do with some ingredients that are restricted today – evarnia prunastri? Anyway, the old Vetiver by Jean Paul Guerlain was the best of all. There was the forest character of an Acqua di Selva but without being downright coniferous. Very likely, there was something mossy. It was dark and noble, but it was anything but rough like so many contemporary Vetivers are. It was too elegant to be called earthy. It may not have been the original intention to create a forest fragrance and as far as I know, Vetiver was never marketed as such. However, I do think that the vintage Vetiver may have touched all the wearer's multiple connotations with the forest, very often without reaching the state of consciousness. This includes that Vetiver never directly smelled like forest, but, figuratively, it somehow included all the magic and the concept of the romantic forest. We will not get it back. A few years ago, I attended a meeting with Sylvaine Delacourte, Guerlain's art director. I asked her about Vetiver, and she complained about the IFRA restrictions. Still, I am not sure if the IFRA was the only reason. The reformulation may also have been a marketing decision after Guerlain had been as sold to LVMH. The version in the riffled bottle is still good, but the excellence and the respectability of the vintage Vetiver are gone. Lately, Guerlain dropped the modern riffled flacon of the year 2000 version and went back to the old flacon. The only difference is that it has a silver cap now instead of a gold cap. Also, the badge on it is light green, not dark green. There are various accounts about the content of it. When I tested it I found no difference to the 2000 version. However, other Parfumo users found evidence of another reformulation – more smoke, more tobacco. For me, the question is still open. Maybe they changed the flacon but then filled it with different batches. I am not sure what exactly I will get if I should buy a bottle of it. So, as Guerlain went only halfway back, what other choices do we have? For me, Guerlain's Vetiver Extreme is the successor. I find it somehow muskier, more up-to-date and although completely different, a very respectable new approach. A very earthy, forest soil style Vetiver comes from Etro. Annick Goutal's Vetiver (recently discontinued) transfers us to the shores of Scotland with its most unusual salt and spindrift notes. The Vetiver's by Lubin, Tom Ford and Creed are all closer to the contemporary Guerlain Vetiver than to the vintage. Dominique Ropion's Vetiver Extraordinaire is a very dark and intense one, highly recommendable. I find Frédérick Haldimann's Vétiver interesting as it combines vetiver with a classic fougère note – a true gentleman's cologne. The Vetivers by Carven and Givenchy were released well before Guerlain's but then pushed aside by the superior Guerlain fragrance. But - isn't there any left that somehow kept the vibes of the vintage Guerlain Vetiver? Well - what about Royall's Vetiver? It is just a cologne, and very bland – but I think it has got it. I really love this, real masterpiece. It still changin from the first minute to last hours. Fresh and spicy, great vetver accord, not so raw earthy and on the other hand not sweet - well balanced. Green classy juice suitable for any occasion. Not impressive. I own a vintage ribbed bottle of this one and have so tried to like it, but alas I just cannot warm to it. It is fresh and very wearable, but I just kept hoping for something that is more raw and distinctive. I recently sampled Tom Ford's Grey Vetiver (which many consider a modern take on this one) and while I agree about the "modern take on GV" part, I was unimpressed with that one for the same reason. Both of these are just too refined and fresh for my personal vetiver tastes. Longevity and projection are both relatively weak. The bottom line is Guerlain Vetiver will always be a classic, but not one I can recommend when there are so many more distinctive vetivers out there, IMO. 2.5 stars out of 5. Guerlain avoided the Vetiver Trap and chose to make the vetiver root conform to perfumery, not vice versa. Vetiver is a demanding note, and some of the producers of vetiver perfumes of the past 20 years have elected to make it the heart and soul of their perfumes. While there are so many obvious angles of vetiver to emphasize (woody, rootlike, oily, smoky, earthen) they are so imposing that using vetiver in any sufficient quantity in a composition pushes everything else out of its way. A byproduct of the primacy of a note is the same conceptual problem as the solifor in perfumery: why create a representation of vetiver in a perfume when we could wear vetiver essential oil itself? To focus on a tobacco note seems an obvious way to fall into this trap and wind up with a musty, earthy density. But Guerlain’s Vetiver uses a tart grapefruity bergamot along with licorice and what (I swear to god) seems like aldehydes to make the tobacco bloom, giving Vetiver an effervescent upper register. The real trick is that from the top through the basenotes Vetiver has a dry gin-like almost hissy pervasiveness that is far more durable that this range of notes typically is. The cool quality doesn’t actually feel mentholated or camphorous, but rather sheer and glassy, suggesting that it is cool to the touch. Coolness seems to have become pronounced over the various reformulations. I know that many are saddened by reformulation. I seem to remember the Guerlain Vetiver a French friend wore in the late 80s and early 90s focused more on the dense, oily vetiver note itself. I know the lightening of a fragrance as a result of reformulation is generally panned, but this cooler, more gin-like Vetiver 1) gives me a wonderful sense of sang-froid in my warm climate and, 2) lifts the register of the tobacco note, making it effectively floral. The lightening doesn’t have to do with dilution, but an increased emphasis on the tenor range of notes. Prettier than it was, and still pitch-perfect, I find the current Vetiver de Guerlain more appealing than ever, and exceptionally successful in its manipulation of a difficult botanical note. The current Vetiver, more than earlier versions, uses its eponymous note in the same manner that Chanel No 5 makes a floral perfume with jasmine: it makes a balanced abstraction that smells of vetiver but does not smell like vetiver. 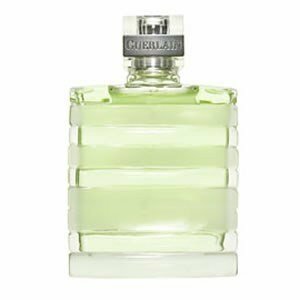 I loved Guerlain's VETIVER, the perfect uniscent, an enticing combination of vetiver and oakmoss, with a touch of leather and civet in the base, and a warm opening of citrus and spice. Eventually, to my sadness, I learned that he had given it away! The moral to this story is: do not assume that great fragrances will be appreciated by someone else in another set of skin. Objectively great fragrances may not always be recognized for what they are. A sampling of reviews at fragrance community websites--written by people all of whom care about perfume--reveals that how a fragrance develops is a function not only of its composition, but also that of the wearer! Guerlain VETIVER has now been reformulated (along with many of their once classic perfumes). There's no turning back. What's done is done!